Among the earliest wildflowers to come up in my yard in April, wood poppies are tough and cold resistant. These native Virginia wildflowers grow quickly into tall plants that reach about 2 feet in height; they produce a profusion of bright yellow flowers from early spring through the summer. The large flowers will eventually give way to fuzzy, elongated seed pods. 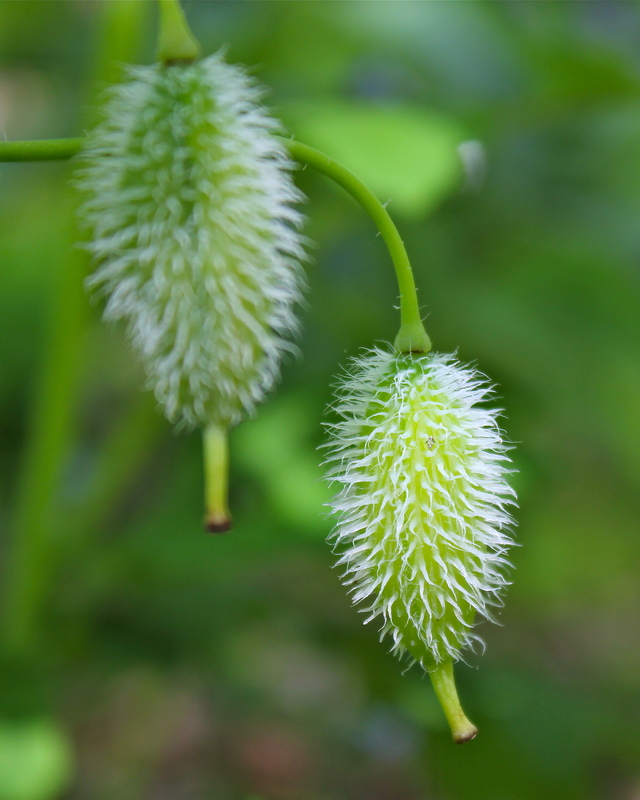 Wood poppies have a fine, white hair or fuzz on the stem, bud, fruit capsule, and the underside of the leaves. If you break the stem, the sap is bright yellow. The bluish-green leaves are deeply lobed and very attractive, even when the plant is not in flower. 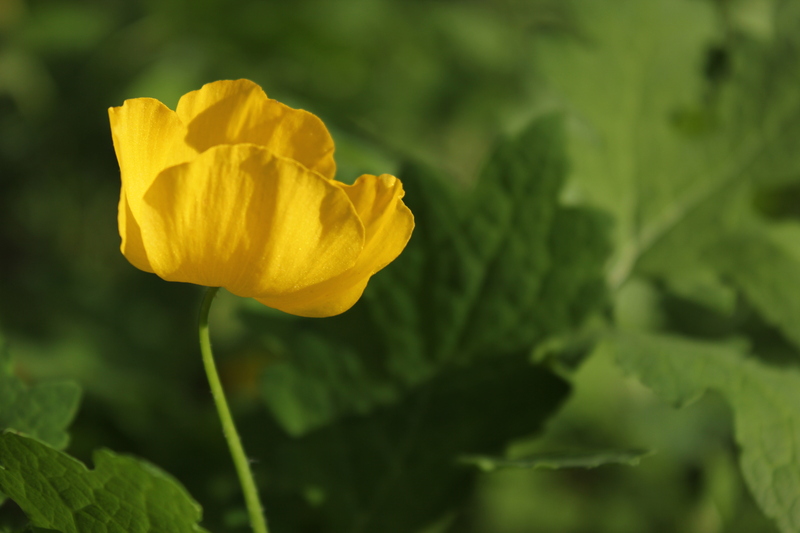 If you like this wildflower, try spreading the seed yourself in fall; you can easily get them to grow in your garden! In the heat of the summer, remember to keep them moist; they will go dormant in hot, dry weather. Early bloomers! Wood poppy flowers emerge right along with the first leaves in early April. Where is the best place to plant wood poppy ? I have it growing in a variety of places, and haven’t found a spot it doesn’t like yet! Along the stream, in the shady hosta beds, in the woods. It does grow more vigorously in partial sun.